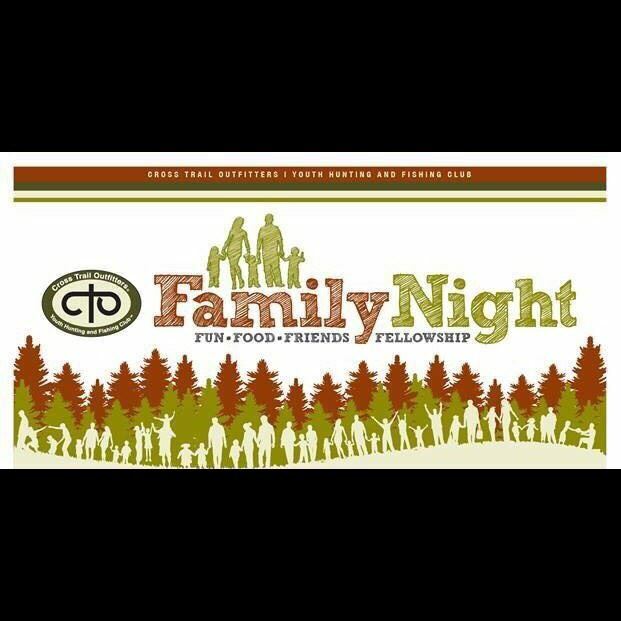 Family night is an opportunity for us all to come together for dinner, fun and fellowship. We will discuss upcoming events, have a devotional, and parents will get a chance to see what Cross Trail Outfitters is all about and learn how they can help out. This is a fishing tournament. You will be paddling a Jon Boat that belongs to Kings Mountain State Park. You will be matched with another random participant (girls will be matched with girls if possible). The two of you will measure and log your fish on a tablet. 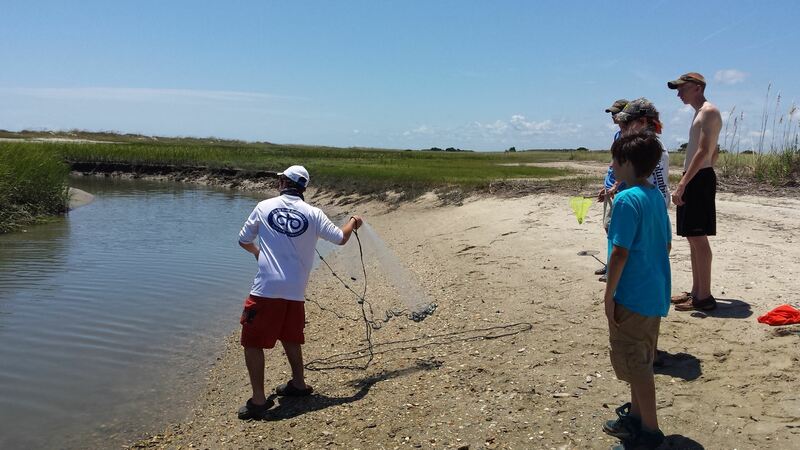 After you log your fish the participant with you will initial that they witnessed the size of the fish. You will be allowed to log Bass, Crappie, Catfish, and Brim. Winners will be chosen based on the length of your fish, and the numbers of fish you catch. If you do not have your own fishing rod that is perfectly fine, but please let Coach B know so we will know we need to provide you with a rod and reel. The tournament starts at 8:00AM. We welcome any girls who would like to take part. We will all meet at 7:30AM at the ranger station. We will be done by 12:00PM. You are allowed up to 2 rods, 6 artificial lures, and you can use worms or crickets for live bait if you want. Prizes for Most, Biggest, and Smallest fish. Parents please let Coach B know if you have any questions or concerns. Can you beat Tristan River's first bass? 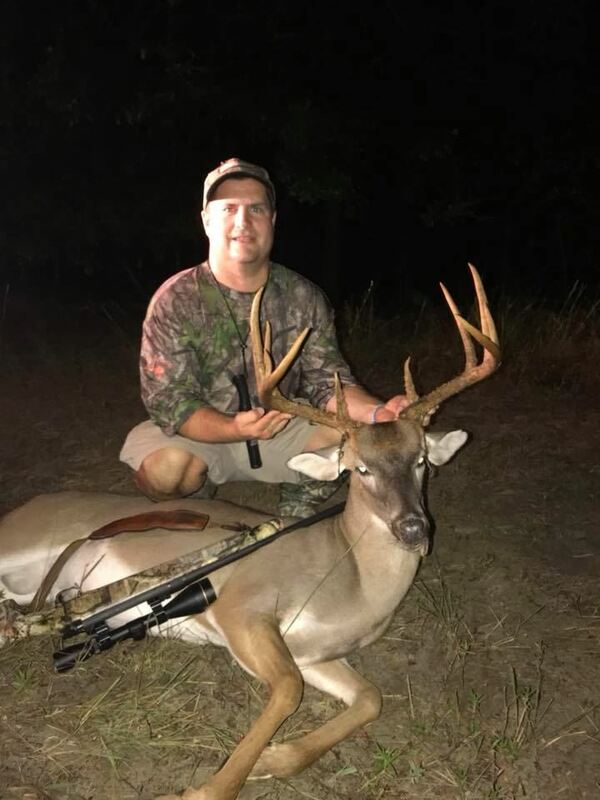 The 2019 CTOSC Young Bucks Summer Camp will be held at Moree's Sporting Preserve, 1217 Moree Road, Society Hill, SC 29593 , from Sunday June 23 to Thursday June 27, 2019.. The Young Bucks Summer Camp is for boys ages 8 and 12. Activities for this years camp will include sport shooting (rifle & shot gun), archery, fishing, canoeing and more. Cost for this camp is $350, to help offset the cost of this years camp, CTOSC will have a drawing for prizes, for each $10 donation received, that person will receive (1) ticket for the drawing. For more details, please contact Steve Christman. It's time to get some target shooting in. One of our lead outfitters Wilson Mew will be leading with the help of several other of our adult leaders as we work on learning to shoot different rifles, shotguns, and even crossbows. 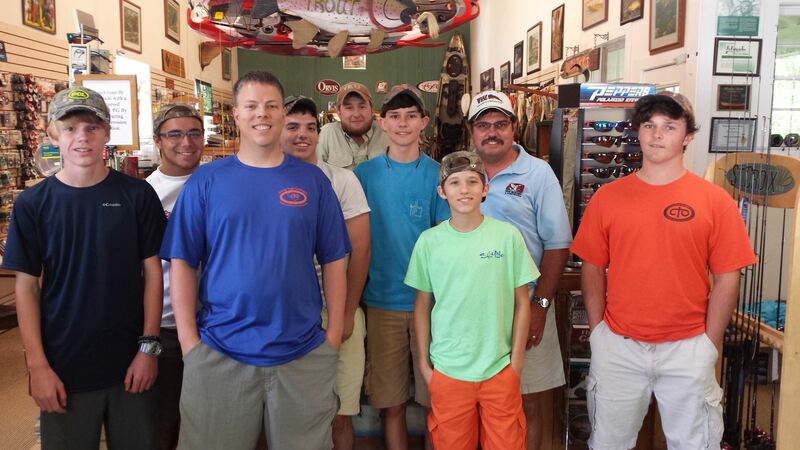 This is a great time of fun and fellowship that allows youth to practice their skills. Parents, friends, and others this would be a great chance for you as well to see what Cross Trail Outfitters is all about. We will start out at the Tractor Supply in York and parents who do can not go may pick up their child at Tractor Supply when we finish. Youth will call home to let you know when they are 30 minutes away. The cost of this trip is $25 to help us purchase the ammo that will be used. Check out this great little place to practice your shooting. This will be edited later once we know for sure about our boating situation. We are currently looking to change this to a boat trip and thus we are leaving the location undecided at the moment. We expect to likely go back to Huntington Beach State Park but that is just not 100% locked in at this point because we may have a chance to visit a different park if we take the boat. The information below is what we normally have for this trip. Due to the possibility of the boat we are limiting this trip currently to 4 youth. If we decide not to take a boat we may change that to open for more youth. The cost of this trip is only $25 per youth. This year the boys are headed back to a spot that created more stories than most any other spot we have fished. For several years we have caught 2 at a time, hooked up with a major school of Blue Fish, fought Tarpon for 20 minutes before a break off, had huge bull sharks strip 100lbs braided line right off the reel and many more stories to go along with it. No fear parents Coach B kills the sharks before any students touch them. We end up with great stories, good meat, and a new favorite spot on the SC coast line. Oh and don't forget the fun walk to the jetties… hope you are in shape because if not you will be when we get done. Please do not wait to register because we are limited in spots. So you haven't registered? Get on it as you can see here Wilson Mew is getting ready to put you on one. 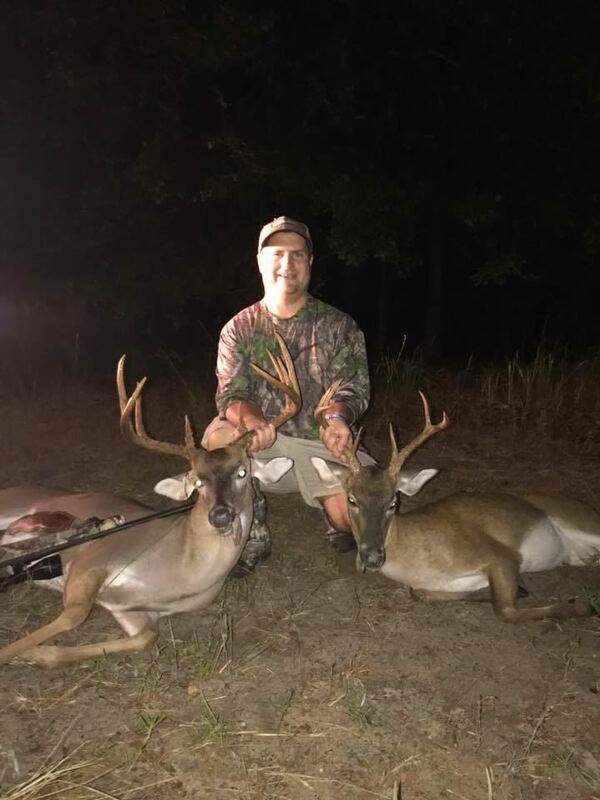 This year we will be visiting Barnwell, SC where one of our guides, Wilson Mew, has land to hunt. We will limit this hunt to 4 guys. Register early. Archery Hunt in Sharon, SC. We have 4 great spots set up for archery. We have two crossbows available and if you have your own you are welcome to bring it. The goal will be to add one more crossbow before this hunt. Corn is out on these stands, and pictures are coming in. Register soon as this will fill up. The cost is $25. Make sure you have your license and stop by the DNR office in York to buy 1 extra anytime doe tag. Don't forget you need to take the Hunters Education course by age 15 if you have not already. REGISTER ASAP as these spots will fill up and there will not be more to open for this day. Before joining CTO this group was part of FCA Outdoors and it was a trip to this area that God spoke up and said there was more to come. Now we have been here 14 times and know many locations to check out. We will also visit the Walhalla State Fish Hatchery, Mountain Top Trading Post, and Sunday morning we will visit Mountain Rest Baptist Church (who we visited last trip and they have offered to assist us with anything we need). 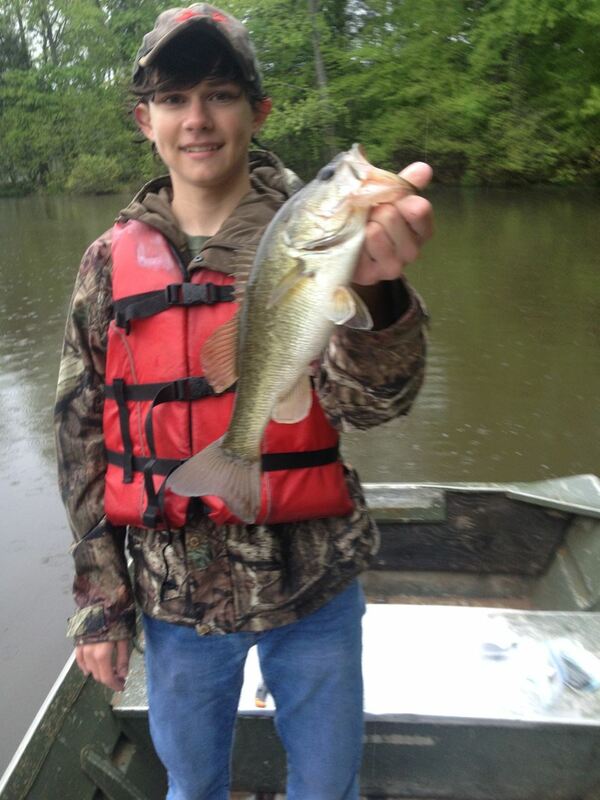 Then wrap up the trip fishing at the Oconee State Park lake. We will be fly fishing on this trip in some of the most beautiful spots in SC. We will also be using ultra light rods/reels. All tackle is supplied. If the fish are not biting in the river we will go to the state park where we have proven we can catch our limit in trout. On Friday night we will eat at a local restaurant, on Saturday morning we will enjoy omelets, Saturday lunch is snacks, Saturday dinner is venison chili. Sunday brunch is at Waffle House. We will leave from Whitt's End Farm at 7:00AM Friday Nov 22. The cost is $25. There are only 6 youth spots available and so it is important that you register asap. If more come available we will post that then. If you have any questions Email YorkSCCTO@GMail.com or Call 803-610-3750 for more information. Archery or Gun Hunt in Sharon, SC. We have 4 great spots set up for archery or gun. We have two crossbows, two rifles, and two shotguns available and if you have your own you are welcome to bring it. Corn is out on these stands, and pictures are coming in. Register soon as this will fill up. The cost is $25. Make sure you have your license and stop by the DNR office in York to buy 1 extra anytime doe tag. Don't forget you need to take the Hunters Education course by age 15 if you have not already. October 02, 2016 CTO South Carolina "A Night of Celebration"
March 11, 2016 Turkey shoot!